Check out the collaboration from Waxahatchee (a.k.a. 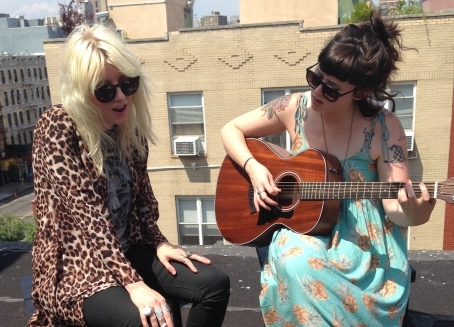 Katie Crutchfield) and White Lung's Mish Way for Noisey Acoustics Session! The two performed each other's songs "Coast to Coast" (from Cerulean Salt) and "Wrong Star" (off Deep Fantasy) atop the roof of a building in NYC's LES. Enjoy! 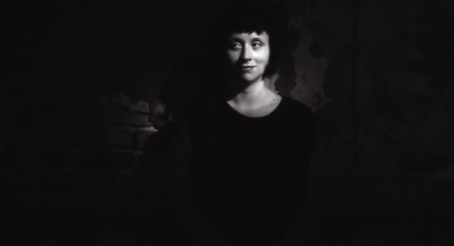 Here's the video of a solo performance by Waxahatchee, a.k.a. 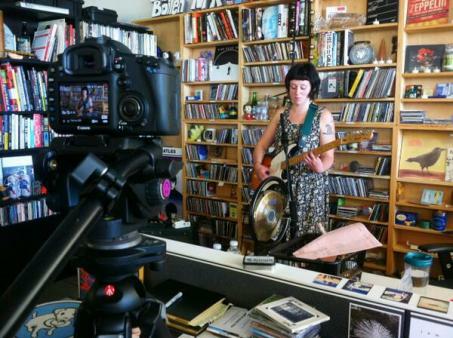 Katie Crutchfield, for NPR's Tiny Desk Concert series. Her set consisted of the songs "I Think I Love You" and "Bathtub," from last year's American Weekend, and "Tangled Envisioning," from Crutchfield's latest critically acclaimed LP Cerulean Salt. Enjoy! 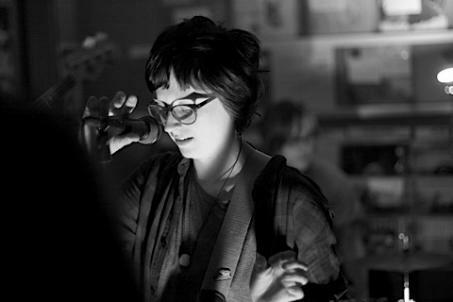 Oh boy...this is really a crystal-clear recording from Last.fm and Gibson's session with Katie Crutchfield, a.k.a. Waxahatchee. She stopped in to play acoustic versions of "I Think I Love You," off 2012's American Weekend, and Cerulean Salt's "Tangled Envisioning" while on tour in the UK. 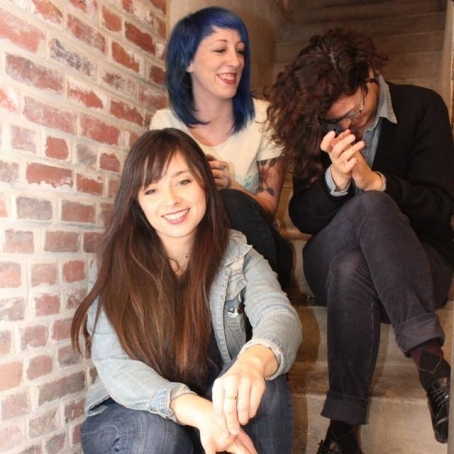 Waxahatchee just also announced some winter tour dates with Cayetana in tow and a Philly show on Sunday, January 26 at the First Unitarian Church. Props to Sunchord Media Production on some beautiful sounding footage.